to ship your pet to another country. The list of costs involved in relocating your pet to a new country is pretty long, but if your pet means the world to you then it will all be worth it. This guide breaks down exactly how much you should expect to pay to ship your four-legged friend overseas. 04 | How much does it cost to fly a pet? 06 | How much does it cost to clear customs? The table below shows you the cost of shipping your pet from the UK to popular locations around the world. Over in the USA, companies such as Pet Relocation generally charge between $2,500 to $3,000 for moving one small pet internationally. How much does it cost to ship a dog from the UK? How much does it cost to ship a cat from the UK? Ah, the vet: your pet’s favourite place! To ensure that your pet is allowed to fly, you need to take it to the vet for a proper health assessment. Domestic animals are welcome in most countries but not if they’re bringing diseases with them. , depending on if it’s a one-year dose or a three-year dose. Here is the typical cost of microchips and rabies vaccinations in the UK, USA and Australia. Prices will vary depending on the type of animal you have and the clinic you visit. Some countries also require additional vaccinations for specific diseases with very long names (such as Leishmaniosis), but we’ll go into them in more detail later. Make sure your pet has all the necessary health checks before it travels, or it could end up in quarantine when it touches down in its new country. Once your pet has passed a health assessment, it will get a certificate! This piece of paper will officially declare your pet fit for travel, having had all the vaccinations and tests relevant to the country you’re moving to. As long as the certificate is dated within ten days of travel, it’ll get your pet to where it needs to be. 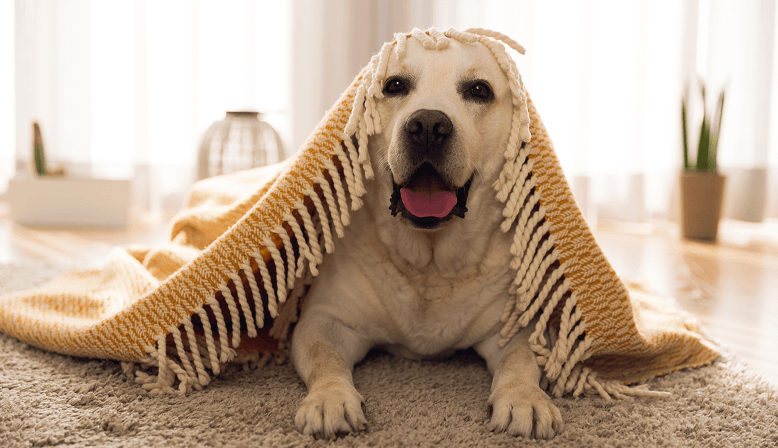 The cost of a health certificate ranges widely depending on what medical tests your pet has needed. For example, in the US, a health exam and certificate for your cat or dog normally costs somewhere between $50 and $250 USD (including vaccine fees). This is instead of a pet health certificate. Reserved exclusively for dogs, cats and ferrets, the pet passport is a shiny blue booklet that is used if you’re travelling between any two countries in the EU (plus a number of other approved countries like Switzerland and Norway). As long as your pet’s been micro-chipped and its rabies vaccinations are up to date, the passport will be valid for your pet’s whole lifetime. mark, although dogs also require tapeworm treatment, which can increase the price. When the United Kingdom voted to leave the European Union, the first question on everybody’s lips was ‘what about pet passports?’ Nobody really knows what is going to happen, but the UK’s regulations for European pet travel probably won’t change too much. How much does it cost to fly a pet? In most circumstances, ‘flying with your pet’ doesn’t mean sitting next to each other and enjoying the lovely views. Unless it’s an assistance dog (or your pet is small enough to fit in a travel crate under the seat in front of you), most pets have to go down in the hold while you stay seated in the cabin. Some airlines check in pets as checked baggage while others classify them as cargo. Either way, your animal will go in a special livestock hold that is pressurised and temperature controlled. Don’t worry, pets aren’t shoved in the same section as the suitcases. , depending on the size and weight of your pet, and where it is travelling to and from. All the world’s airlines have been super helpful and decided that they should each have an entirely different set of rules for pet transport. Once you know where you’re going, you need to work out which airline offers the best pet relocation service for your needs and then speak to them directly. The table below shows you a few examples of how the regulations can differ between airlines. Each animal needs to go inside its own travel crate. The bigger your animal, the more you’ve got to spend on a suitable box to put them in. The International Air Transport Association (IATA) have imposed some restrictions on the size of the travel crate you can get for your pet. At the very least, the crate must give the animal enough space to turn around while standing and to lie down in a ‘natural position’. The full list of requirements can be found on the IATA website.
. Airlines often allow you to rent an IATA-approved travel crate for the journey, which can save on costs a little. How much does it cost to clear customs? , depending on import tariffs, veterinary inspection prices and other taxes. 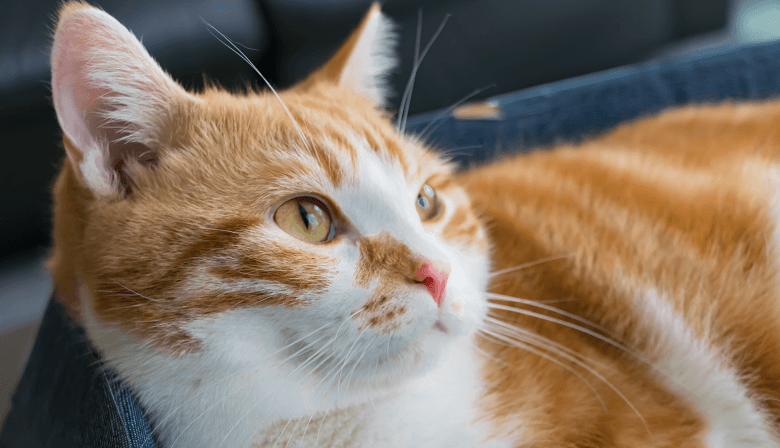 You’ve probably noticed by now that pet relocation is pretty difficult to generalise about. Apart from the EU, no two countries have the same set of regulations, so we thought it would be helpful to be a bit more specific. We’ve focused on some of our most popular expat destinations and listed the key requirements for your pet. Aussie regulations are strict, to say the least. For a country that has been badly damaged by many invasive species from Europe and Asia, it’s no surprise they’re so careful today. Our key bit of advice when it comes to moving your pet to Australia is to give yourself time – a lot of it. Dogs and cats are currently the only species of animal allowed into Australia. It’s the rabies vaccine that really takes time. Dogs and cats must have a rabies vaccine at least seven months before they move to Australia, and they also need a Rabies Neutralising Antibody Titre Test (RNATT) to check that it’s worked. But here’s the big one: your dog or cat will not be allowed to enter Australia until 180 days after the RNATT. So you’re looking at over one year of preparation before your pet can actually enter Australia. Your pet also needs micro-chipping (before the rabies vaccine) and checking for ticks. The list gets even longer if you want to bring your dog; they need treating against Brucellosis, Leishmaniosis, Ehrlicia canis, Leptospirosis, nematodes and cestodes. Don’t worry, you don’t have to pronounce them – just treat your dog against them. We’ve heard that moving to Australia often causes dog owners to decide they want a cat instead. Canadians are more than happy to let domestic animals into their country. Just make sure you prepare your pet so it can meet the requirements at the border. Like the USA, Canada has its own list of countries it considers to be rabies free, and the same rules apply regarding rabies vaccinations (see above). The UK, Australia and most of Europe are considered rabies free by Canada. Microchips are not required but they are recommended. Canada doesn’t like to keep pets from their owners, so quarantine isn’t really a thing here. However, if your pet is showing obvious signs of illness or disease then it will be quarantined. If you want to bring your chien, chat or any other animal to France then the regulations are pretty easy to follow. They’re also extremely similar to the rules in Germany, as both countries are in the EU. If you’re coming from any other EU member state then you can use a pet passport, but if not then you’ll need a standard animal health certificate. It doesn’t matter what species of animal you’re bringing; it must be at least 12 weeks old before it can travel. All animals need a rabies vaccination and it has to be applied at least 21 days before the travel date. If your pet is coming from a country with a high incidence of rabies than you’ll need to plan things a bit more in advance, as it will need a Blood Titer Test one month after being vaccinated and then have to wait a further three months before it can fly. Once again, all pets need microchipping before the rabies vaccination takes place. Treating your animal against things like ticks, tapeworms and heartworm are recommended but not compulsory. Just like in Germany, your pet will avoid quarantine if it meets all the requirements. Any signs of serious disease, though, and the animal will be whisked away until they’ve sorted it out (at your expense). Germany, the land of the hundesteuer! This means ‘dog tax’, and you’ve got to pay it if you own a dog in Deutschland. You can avoid the tax if you have an assistance dog, a rescue dog (you are exempt for one year) or by simply owning a cat. Your pet needs a rabies vaccination to come to Germany. It must take place no less than 30 days (and no more than one year) before the travel date. A microchip is also mandatory and this has to happen before your pet gets vaccinated. There is a handful of diseases that all EU countries suggest you should vaccinate your dog or cat against, but you can do what you want with these suggestions. We think it’s pretty wise to follow them and your pet will probably agree. As with the UK, the five-day and five-pet rules also apply (see above). The Germans are very reasonable over there; your pet does not need to be quarantined if it meets all the requirements and shows no signs of disease. Ironically, New Zealand has strict regulations for every country in the world except Australia. Other than cats and dogs, the only permitted species of animal are rabbits from Australia, guinea pigs from Australia and chinchillas from Great Britain. Yes, we think it’s weird too. After being microchipped, you need to vaccinate your pet against rabies. This must be done at least six months (and no longer than twelve months) before the travel date. Your pet must have a rabies blood test (RNATT) at least three months before it travels, and it also needs treating against internal parasites and ticks. Once again, there’s a pretty long list of diseases that your dog needs testing for, and it’s the same as Australia’s (e.g. Leptospirosis and Brucellosis). , irrespective of which country your pet is from. for animals from non-EU countries. Even if your pet passes the inspection, it needs to go into quarantine for at least ten days, but if it fails then it could be taken away for much longer. depending on whether your animal is from the EU or not. There are quarantine facilities in Christchurch and Auckland, so you must fly your pet into one of these airports. You also need to ensure you have notified an official veterinarian in New Zealand about the arrival of your pet at least 72 hours beforehand. The UK loves its animals. If the Queen kept five corgis in Buckingham Palace, then you should be allowed to bring your pets with you. Thankfully, there’s a proper system in place and there won’t be any problems if you do everything right. The Pet Travel Scheme (PETS) allows animals (dogs, cats and rabbits) to enter the UK without needing to spend any time in quarantine, as long as your pet’s coming from a country that’s a member of the scheme. The listed countries include all EU nations and many countries across the world, such as the United States, Australia and Japan. All pets need a rabies vaccination, a microchip, a rabies antibody blood test, tick treatment and tapeworm treatment. It’s a long and expensive list but you’ll face longer and more expensive things if you don’t follow it properly. Remember: your pet needs micro-chipping before the rabies vaccine, and the vaccine needs to happen at least 21 days before you travel to the UK. The EU also has a ‘five day rule’, which means that you must travel to your new country within five days of your pet’s travel date. If you leave it any longer then your pet will be viewed as a commercial import and you’ll have to pay all sorts of import permit fees. The maximum number of pets you can bring at any one time into the UK is five. If you want to bring more than five then you simply have too many pets. Compared to Australia and New Zealand, most pet regulations around the world are generally less strict (hooray). If you want to bring your pet to America, here’s what you need to know. The Centers for Disease Control and Prevention (CDC) require that all animals be ‘healthy’ before they enter the US. Most animals need vaccinating against rabies before they travel to America, but the CDC actually have some fairly relaxed rules when it comes to dogs. If your mutt is coming from a ‘rabies free’ country and it has lived there for at least six months, it doesn’t need a valid rabies vaccination certificate. You just need to get a certificate signed by a vet confirming that your pet’s home country has been rabies free for at least half a year prior to travel. The list of nations that the CDC considers to be ‘rabies-free’ is generously long, and you can read it on the CDC website. Microchips and rabies blood tests are also not required. Unsurprisingly, things are even easier for cats; it doesn’t matter where they’re from, they don’t need a valid rabies vaccine. However, we should mention that all pets are subject to thorough inspections upon arrival in the States, and they might be turned away if they bear any evidence of disease. So, if you want to be cautious we recommend giving your pet all the treatments before it travels. Quarantine is generally avoided by most pets coming into the States – except birds. They need to spend a minimum of 30 days in quarantine after they have arrived. At MoveHub, we strongly recommend that you use a proper pet relocation company. They come at a price, of course, but they will make the whole process a lot easier. That long list of things you’ve got to deal with will suddenly become a whole lot shorter. They’ll tell you exactly what your pet needs and then help you get it. Remember: animals know when you’re stressed and then they get stressed. 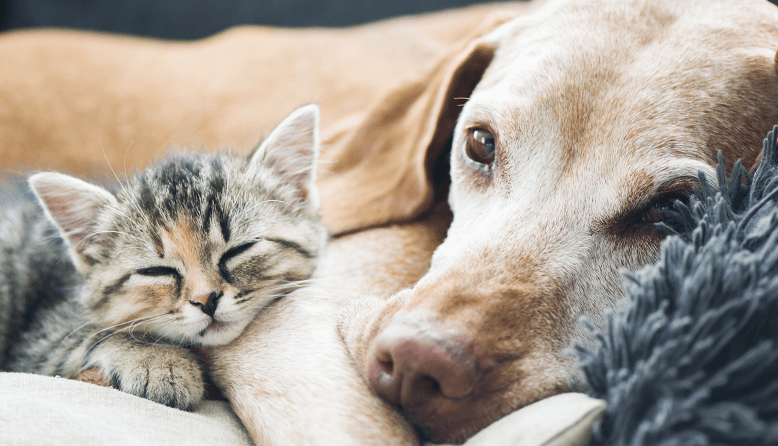 Check out our breakdown of the top ten pet relocation companies. The cost of shipping a dog can vary widely, and it depends on a number of factors such as the size, weight and breed of your dog, and where it is travelling to and from.. As a rough estimate, it can cost anywhere between £1,000 and £4,000 to ship a dog. It’s often cheaper to transport a cat than a dog. As a rough estimate, it costs around £500 to £1,500 to ship a cat abroad. Prices do vary depending on a range of factors, such as the size, weight and breed of your cat, and where it is travelling to and from. What is the cheapest airline to fly with a dog? While budget airlines like EasyJet and Ryanair don’t allow pet travel, airlines such as Delta and Lufthansa are among the cheapest airlines to fly with a dog. These airlines charge around £50 to £350 to transport your dog. Prices vary depending on lots of factors, such as the size and weight of your dog, and whether it’s in the cabin or the hold. In short, yes. If you’re not traveling on the same flight as your pet, it will be classed as air cargo and will be put in a specialised livestock hold. Your pet will need to be kept in a travel crate for the entirety of the flight. Once your pet has landed, you’ll be able to pick it up from the cargo facility of the airline it flew with.